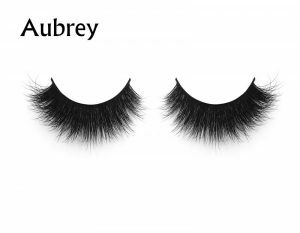 With a thick, slender, curled eyelashes is every girl’s dream, grafting eyelashes not only to meet these needs, but also to improve eye type, deepen the inner liner. After grafting, almost no make-up, as long as a lip gloss painted, the whole person is filled with high spirits. Here to share some private experience for the reference of small partners. 1.As long as the skin is not very sensitive to the eye or the eye prone to inflammation, you can consider grafting eyelashes. 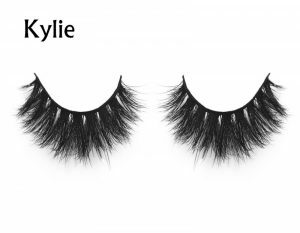 2.Grafting prices according to the choice of false eyelashes material, the number of different. In the material, it is recommended to choose a relatively soft, slender, so that little damage to their eyelashes, and can last longer after grafting. 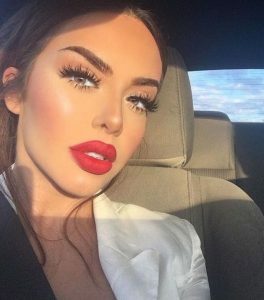 Can ask the technician to come up with several false eyelashes she has introduced, look at yourself, touch the softness, and then make a decision. 3.In the choice of the number of roots, do not blindly pursue thick. If you graft multiple false eyelashes on one eyelash, the damage to one’s eyelashes is great. At present, many stores recommend a single grafting method, but also to minimize the damage to the eyelashes. 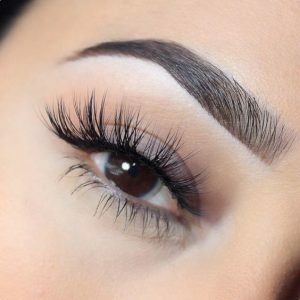 But if your eyelashes are sparse, consider grafting two on some eyelashes. After all, choose to graft, is to finish the beautiful, if more sparse, the effect will certainly not make you satisfied. These details, we must first discuss with the technician, according to the actual choice of eyelashes. 4.In addition to the number of materials and roots, but also need to select the shape (eye tail lengthened, elongated eyes and natural type), degree of curl and length (1cm, 1.1cm ……), etc., which vary from person to person. According to their own characteristics of the eyes and hope to show the effect of choice. Generally speaking, if the eyes are not long enough, you can choose the longer end of the eye, not only can well adjust the eye type, but also enhance the sense of charming. If the double eyelid is relatively narrow or the distance between the facial features is relatively narrow, it is not recommended to choose too curly. For professional women, long false eyelashes will appear unnatural, reducing your workplace professionalism. Therefore, when making the choice, according to their own rational judgments, rather than blindly pursuing long, dense and Alice. 5.within 4 hours after grafting, do not wet the water. Water will affect the effectiveness of glue, thus affecting the durability. 6.Grafting eyelashes, do not need to smear mascara. 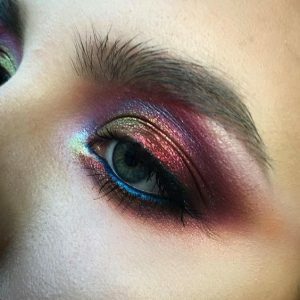 You can normally draw eye makeup, but when the makeup, must not use oil containing products. So, please prepare cleansing milk or makeup remover beforehand. Remover, wipe gently with a cotton swab to prevent false eyelashes due to rubbing off in advance. 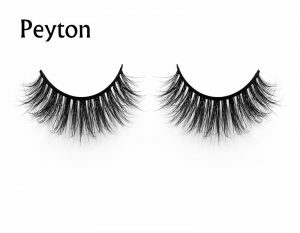 7.When you find there are false eyelashes to fall off, do not drag it with your hand, this will greatly damage their eyelashes. Comb your eyelashes with a comb and wait for it to fall naturally. In about 2 weeks, eyelashes fall more powerful, you can go to the store to allow technicians to use professional methods to remove.